Leina Yadev LLM, Award-winning Solicitor (1998), Accredited International Civil and Commercial Mediator, University Lecturer, International Speaker, Chambers Faculty Leader, CMC Registered. Also know as Leina Yadev Brazier LLM. Award winning Solicitor and International Mediator Leina, heads her own thriving legal practice and mediation firm with a national and international client base. Her calm, professional and versitile approach has gained her recognition within her profession and clients, and assisted in settling hundreds of contentious disputes for over 20 years. Leina is committed to the highest standards within training and practice of mediatiation, and conducts a broad range of mediations both nationally and worldwide, offering dispute resolution in most areas. Principal Solicitor and Founder of Chambers, established 2001. She is a Master of Laws in Intellectual Property and Commercial Law, and has over 20 years’ experience within Commercial and Civil Litigation, Corporate Law, Intellectual Property, Media/Entertainment, Personal Injury, Clinical Negligence and Employment Law. Over the last 14 years, as Principal Solicitors of her Legal Practice overseeing all work undertaken, Leina has also gained an in-depth knowledge of commercial and residential property litigation and construction disputes, including advising landlords and tenants in relation to business lease renewals, assured shortholds and tenancies, possession actions, squatter actions, party wall disputes, removal of unauthorised occupants, rent reviews/rent arrears, dilapidation claims, closure orders; and disputes relating to construction projects. She also acts on behalf of International Television and Film Production Companies, Publishers and Authors in the drafting and negotiation of Agreements and related commercial legal requirements. Leina is an Accredited Civil and Commercial Mediator working Internationally, Civil Mediation Council registered. She is a member of various professional and business associations, and a visiting University Lecturer. Leina is passionate about the mediation process and its increasingly important role in settling even the most complex of disputes. She firmly believes there is always a way to reach resolution, and prepared to challenge the participants’ line of thought in a calm, approachable, helpful and respectful manner. She was elected National Representative for the Birmingham Young Solicitors Group and actively involved in addressing issues affecting young solicitors around the country, regularly attended Law Society meetings in order to discuss the issues at hand. Her work with the employment lawyers group of the national committee included organising training days for young professionals, career development and training for partnership. She was closely involved in discussing the final draft of a new model contract for employing assistant solicitors, subsequently considered by the Law Society. Leina has been nominated for several legal and business awards, and was runner up of the prestigious Birmingham Young Professional of the Year Award (Legal Sector), and The Black Country Chambers of Commerce Business Woman of The Year Award. She has sat on the boards of Birmingham Focus, the city’s leading charity for the blind, partially sighted and disabled, and has also been involved with the forming of a Birmingham committee for Big Brothers and Sisters UK, geared at providing support and mentoring for disadvantaged children between the age of 6 and 16 years. She is actively involved with a number of charities and orphanages around the world, assisting abandoned and abused children off the streets and providing shelter, schooling, nourishment and support. Leina has appeared as an Expert in debate and discussion series, both on television and on several radio programmes, and is an author writing under a pseudonym. She enjoys attending business lobbying meetings with MPs and government ministers. In her spare time Leina enjoys writing, theatre, snorkelling, shooting, and has recently taken up flying lessons at her local aero club. Extensive experience of 20 years as a Solicitor at a senior level. Wide-ranging legal practice - As Principal of her own thriving legal practice, Leina has overseen all work undertaken and gained an in-depth knowledge of Commercial and Civil Litigation, Corporate Law, Intellectual Property, Media/Entertainment, Personal Injury, Clinical Negligence, Employment Law, Commercial and Residential Property Litigation and Construction Disputes. Clients also include National and International Television and Film Production Companies, Publishers and Authors. 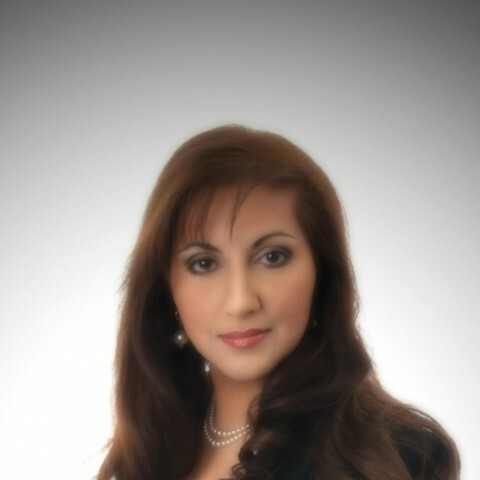 Personable, calm and versatile approach – Leina’s calm, professional and versatile approach has gained her recognition within her profession and clients, and assisted in settling hundreds of contentious disputes over the past 20 years. Available for work anywhere – Leina travels nationally and internationally for mediator work. Private Practice Solicitor. Admitted as a Solicitor of the Supreme Court 1998. In practice over 20 years, since 1995. Principal Solicitor and Founder of Chambers Solicitors established 2001. Master of Laws in Intellectual Property and Commercial Law. Accredited Civil and Commercial Mediator. Ministry of Justice & Court Mediation Scheme compliant .